When Your Stomach Flips, Do You Listen? 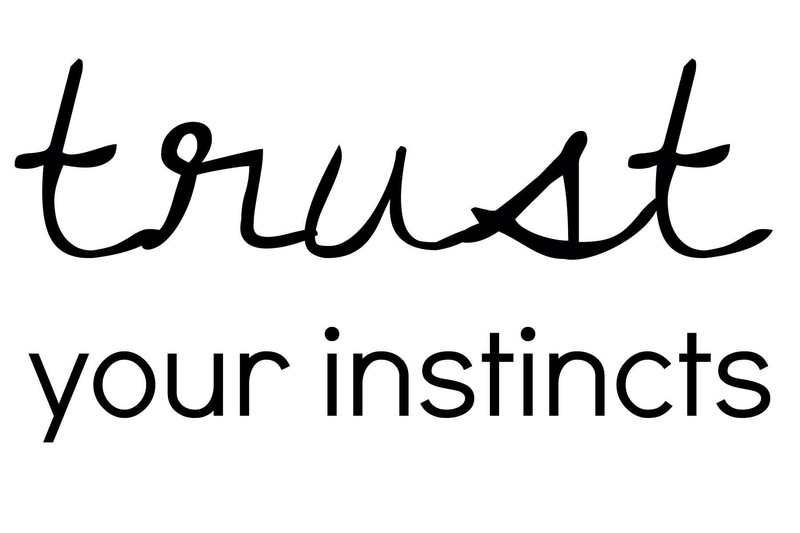 Do you trust your instincts? If you do, do you know when you are doing it? Or are you walking blindly through life? I used to walk blindly through life, totally disconnected from my instincts and my body. I was always processing, thinking, grinding the wheels trying to think of every scenario before it happened. It was exhausting. And, I rarely followed my instincts because I didn’t know what they were! In the late summer of 2012 was the first time I can recall trusting my instincts. I’m sure it had happened before, but if it did, I never realized it as it was happening. It took a very violent stomach flip to make me take notice. My stomach flipped and I said to myself “whoa, that was a very violent reaction! I should pay attention!” What caused my stomach to flip was not something bad happening to me, it was what we usually consider to be something VERY good. I got a job offer from a very prestigious cosmetics company to make over 6 figures a year, travel to China bi-annually and manage a team of others. It also included a hefty title that I had been working towards in my current position for over a year (without any result). On paper it was exactly what I wanted. But in reality, I was literally sick to my stomach. Now the other thing is, that about a month earlier I had resigned my current job with a voluntary lay-off, so I was going to be OUT OF A JOB very shortly. I had done that thinking I would have another offer soon (and I did) and that it would all work out. In that month something had shifted within me and I couldn’t shift it back into thinking corporate America was the life for me. The truth is, I never felt at home there. Every day I walked in and felt like an imposter because somewhere down deep I knew this wasn’t the path for me, but I didn’t trust my instincts so I was there living a life that was professionally un-fulfilling. I decided that weekend to turn down this fancy job offer. I didn’t over process or over analyze it, I simply said “it’s not the right fit for me”. And it wasn’t. Turning down that job offer was the beginning of a new journey for me. I didn’t know what the future would hold, but I trusted my instincts and took a leap of faith that I would find a way. I would find a new job, or create my own business. I would go back to school if need be. I would work harder than I ever did in my life and grow more than was ever required before. But it would be MY decision and MY journey, not my boss’s “development plan for me”. Now almost 3 years later, I am so grateful that my stomach flipped LOUD and PROUD enough so that I paid attention. My body was screaming to me “LISTEN TO ME AND I WILL TAKE CARE OF YOU”. And it did, it really did.